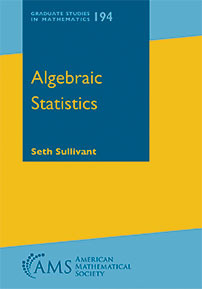 Algebraic statistics uses tools from algebraic geometry, commutative algebra, combinatorics, and their computational sides to address problems in statistics and its applications. The starting point for this connection is the observation that many statistical models are semialgebraic sets. The algebra/statistics connection is now over twenty years old, and this book presents the first broad introductory treatment of the subject. Along with background material in probability, algebra, and statistics, this book covers a range of topics in algebraic statistics including algebraic exponential families, likelihood inference, Fisher's exact test, bounds on entries of contingency tables, design of experiments, identifiability of hidden variable models, phylogenetic models, and model selection. With numerous examples, references, and over 150 exercises, this book is suitable for both classroom use and independent study. Graduate students and researchers interested in algebraic statistics and its applications.